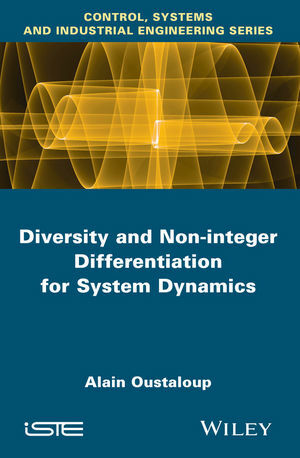 Based on a structured approach to diversity, notably inspired by various forms of diversity of natural origins, Diversity and Non-integer Derivation Applied to System Dynamics provides a study framework to the introduction of the non-integer derivative as a modeling tool. Modeling tools that highlight unsuspected dynamical performances (notably damping performances) in an "integer" approach of mechanics and automation are also included. Written to enable a two-tier reading, this is an essential resource for scientists, researchers, and industrial engineers interested in this subject area. 2. The Robustness of Damping. 3. Fractional Differentiation and its Memory. 1. From Diversity to Unexpected Dynamic Performances. 3. Non-Integer Differentiation, its Memory and its Synthesis. 4. On the CRONE Suspension. 5. On the CRONE Control. 6. Recursivity and Non-Integer Differentiation. Appendix 1. Damping of a Usual Automotive Suspension. Appendix 2. Relaxation of Water on a Porous Dyke. Appendix 3. Systems with Explicit and Implicit Generalized Derivative. Appendix 4. Generalized Differential Equation and Generalized Characteristic Equation. Appendix 5. CRONE Control Response with Initial Conditions. Appendix 6. Fractality and Non-integer Differentiation.